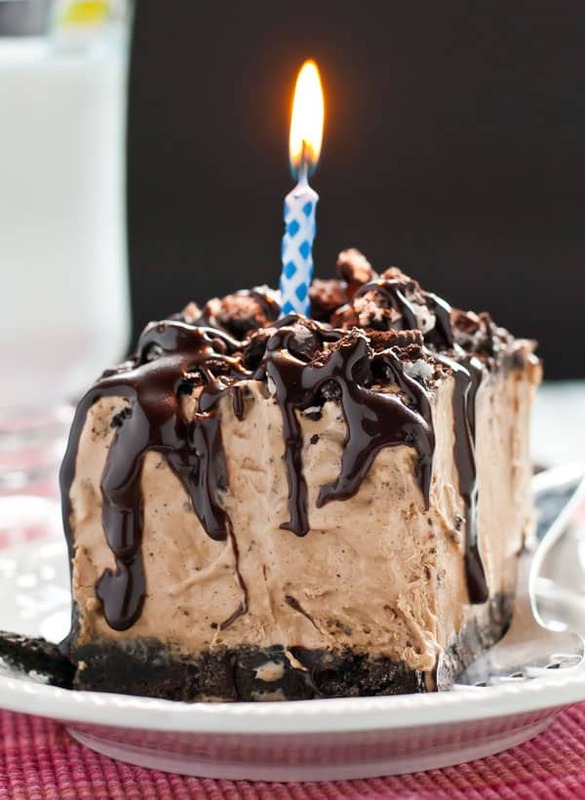 Today I’m celebrating my birthday with cool, creamy Frozen Mocha Oreo Bars. Who needs cake, right? Growing up, I always felt like having a summer birthday party was a bit of a rip off. Anyone who had birthdays during the school year got a whole day of celebration set aside just for them. They brought in cupcakes for the class, everyone sang happy birthday to them, and they got to be surrounded by their friends all day long. Meanwhile, us summer birthday peasants were all lumped together into one generic day of celebration at the end of year. Lame. It wasn’t until I was a teenager that I really began to appreciate the benefits of a summer birthday. Instead of spending the day in school, I got to stay home, sleep in, go to the pool, and stay up as late as I wanted with friends I actually really wanted to spend time with. As an adult, I appreciate my birthday even more. Since it’s the first week of July, I’m always guaranteed a long weekend and fireworks. It just doesn’t get any better than that. Maybe it’s because I have a July birthday that I’ve never been a huge fan of cake. Summer demands something cool and refreshing, which are pretty much the last two words I would use to describe a slice of cake. Instead, I normally go for something fruity, like my beloved Strawberry Shortcake, with LOTS of ice cream. But this year I was craving a little something different. I’ve been on a huge Oreo kick lately, and by “kick” I mean I want to eat them by the sleeve. I also happen to have a 5 lb. hot box hanging off the front of me, so something cold was a must. 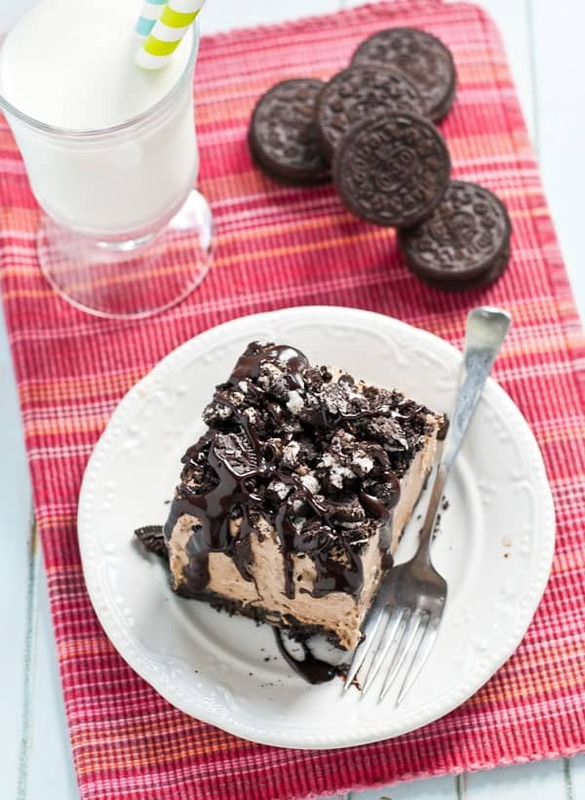 These Frozen Mocha Oreo Bars satisfied all of my summer birthday cravings. Piled on top of an Oreo crust is an ultra creamy, espresso laced mousse filling that tastes just like an iced mocha in bar form. 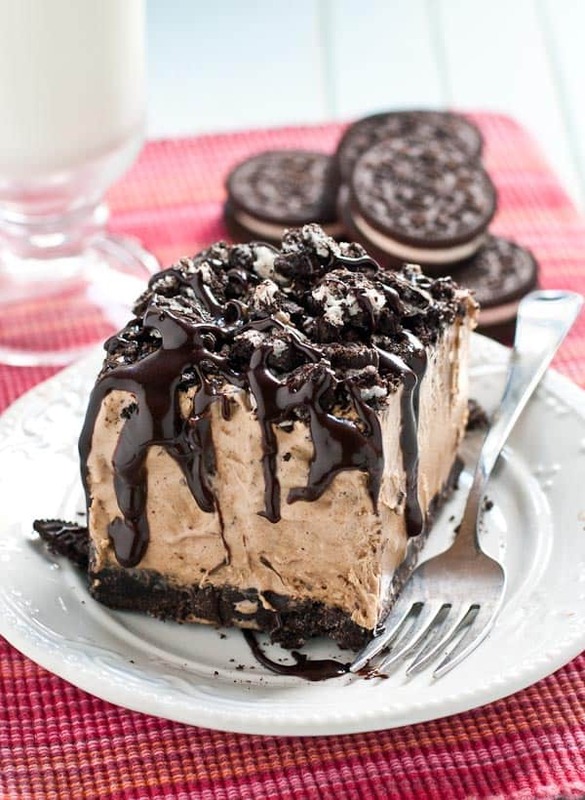 It’s topped with more Oreos and a healthy spoonful (or two) of hot fudge sauce. It’s totally no bake, which means you don’t even have to turn your oven on to get these dreamy bars in your face. This dessert is one of my all time favorites. 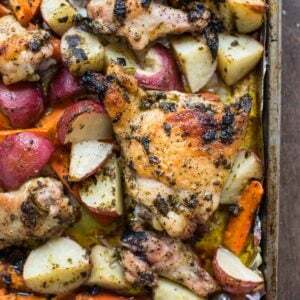 It beats the pants off of cake, and is absolutely worthy of a birthday celebration. The Mr. agreed, and I’m pretty sure the hot box gave it two thumbs up as well…or maybe that was two feet in my ribs. Hard to tell. 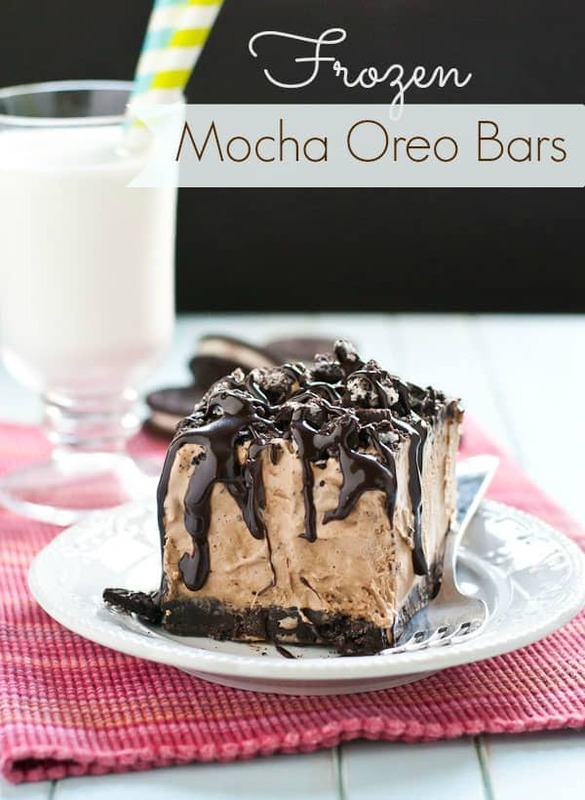 Either way, these Mocha Oreo Bars were a winner for the entire family! In a mixing bowl, stir together the Oreos and butter. Pour into a greased 9 x 13 inch pan, reserving one cup for the top. Press the crumb mixture evenly into the bottom of the pan to form the crust. Set aside. In the bowl of an electric mixer fitted with the whisk attachment, whisk the cream on medium high to high speed until stiff peaks form. Transfer the whipped cream to a clean bowl and set aside. Add the softened cream cheese to the mixer and beat until smooth. Add the condensed milk, espresso and water mixture, chocolate sauce, and vanilla to the bowl and beat until smooth and well combined. Gently stir or beat in the whipped cream. Note: I have a 4.5 quart mixer bowl, and this was VERY full, so you really will have to do it gently to avoid a splatter mess! Spread the whipped cream mixture over the Oreo crust. Top with remaining crumbs. Cover and freeze. I’m a July baby too (the 6th), so I TOTALLY understand the jealousy that ensued when growing up! I felt the same way.. and I hated that everyone wanted to celebrate my birthday on the 4th. So annoying! Lol 😉 These Frozen Mocha Oreo Bars are the perfect way to celebrate yourself and your big day- in delicious style! Hope you had a very happy birthday! 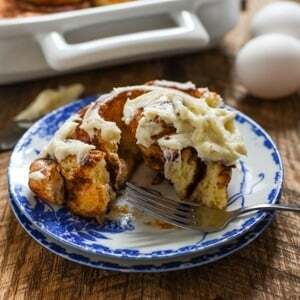 ♡ But with these decadent bad boys to devour, I’m pretty sure you did!! Cheers! I hope you had a wonderful birthday too and got to have plenty of celebration to make up for all those years in elementary school when we got jipped!